The open platform for beautiful analytics and monitoring. A database server is required for Grafana. As Grafana offers many options (InfluxDB/MySQL), we have not automatically installed either as manual configuration may be preferred. Leave the remaining items with the default values. Ubooquity is a free home server for your comics and ebooks library, with remote web interface viewing. At startup the Roon Extension Manager accesses a repository containing the community developed extensions. Via Settings->Extensions within Roon the repository can be viewed and an extension can be selected to perform a certain action. Automatically download your favorite music. [email protected] is a project focused on disease research. The problems we’re solving require so many computer calcul­ations – and we need your help to find the cures! By default, our installation will add you to the DietPi team group, however, you can change this in the web interface at any time. Only a small percentage of my CPU cores/processing is being used? This is a known limitation and depends on the WU job and how many cores it will support. How do I use this software? A lightweight, bare-bones, no frills Hifi music player with a web based interface. myMPD is a front end for MPD, and a recent fork of YMPD. We have disabled SSL and its redirect by default with the DietPi install. This is to prevent redirects to the hostname. Simply select the Update database option from the settings menu in myMPD. 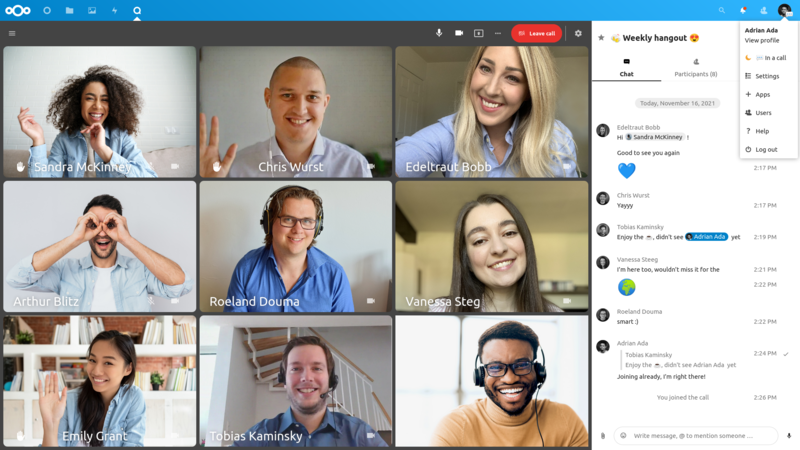 Video calls hosted on your own Nextcloud instance. The TURN server "coturn" will be installed and configured as well to allow reliable video calls through outside the local network, NAT and firewall setups. During installation you will be asked to enter the external server domain and a port, that you want to use for the coturn TURN server. Note that you need to forward the chosen port and/or open it in your firewall. If HTTPS was or is enabled via dietpi-letsencrypt, coturn will be configured to use the LetsEncrypt certificates for TLS connections on the chosen TURN server port automatically. coturn by default will listen to non-TLS requests as well on the port configured in /etc/turnserver.conf. You can force TLS/control this by switching port forwarding in your router and/or opening/dropping ports in your firewall. coturn logging by default is disabled via /etc/default/coturn command arguments, since it is very verbose and produces much disk I/O. You can enable and configure logging via /etc/turnserver.conf, if required. DietPi-NordVPN is a combination of OpenVPN installation and DietPi front end GUI. Allowing all NordVPN users to quickly and easily connect to any NordVPN server in TCP or UDP, using only open source software. NordVPN. Offers unlimited bandwidth, zero logging and upto 6 devices on 1 account. Simply run dietpi-nordvpn to use the GUI, allowing you to setup your connection. DietPi will also automatically start and connect the VPN during system boot. WireGuard® is an extremely simple yet fast and modern VPN that utilizes state-of-the-art cryptography. It aims to be faster, simpler, leaner, and more useful than IPsec, while avoiding the massive headache. When installing using dietpi-software, you can choose whether to install WireGuard as VPN client or server. You are asked to enter your public IP/domain and the port, on which the VPN server should be available. Remember to open/forward the port through NAT. Configure the client config to your needs, it contains some informational comments. By default it will pass all clients network traffic through the VPN tunnel, including DNS requests which will be resolved by the servers DNS resolver. If your client is another Linux machine with iptables installed, you can uncomment the two kill switch lines to have all network traffic automatically disable, when VPN connection is lost. Restart the VPN server (systemctl restart [email protected]) and apply wg0-client2.conf to your second VPN client as you did for the first before. Repeat similar for third, fourth, ... VPN client. Usually the VPN provider will have install instructions and ship a config file. If the you want to connect to another DietPi machine, use the generated /etc/wireguard/wg0-client.conf as mentioned above. The WireGuard kernel module needs to rebuild whenever the kernel is updated. On most devices this will be done automatically, when the kernel (+headers) is updated via APT package, which then usually triggers the module rebuild.